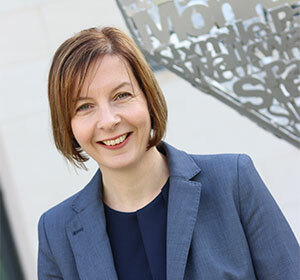 Caroline attended the University of Dundee and graduated in 1998 with an LLB (Hons). She then continued her studies at Queen’s University, Belfast and obtained an LLM in Human Rights and Discrimination law in 1999. She took up a place at the Institute of Professional Legal Studies, Belfast and was admitted to the Roll of Solicitors in 2002. In 2007, Caroline joined Magennis & Creighton to work in their conveyancing department and became a Partner in 2011. She specialises in many aspects of property matters including the buying and selling of residential property, title issues, mortgage and re-mortgage work and the transfer of equity. Caroline has also extensive experience of commercial property transactions, including the sale and purchase of businesses and commercial property. She has advised in aspects of commercial leasing, acting for various landlords and tenants in the acquisition by them of commercial property. Most recently she has had the opportunity of advising clients in the financing and leasing of a substantial health care facility.